The DC 5800 Turbo EX is designed for big hand held power tools and heavy cleaning in potentially hazardous dust environments. The unit is of robust and sturdy design maximizing dependability. The drive motor is direct coupled to the turbo pump further enhancing overall reliability and providing continuous operation capability. It is available certified to IP65 standard (conductive dust, including non-conductive dust) for Atex zone 22. 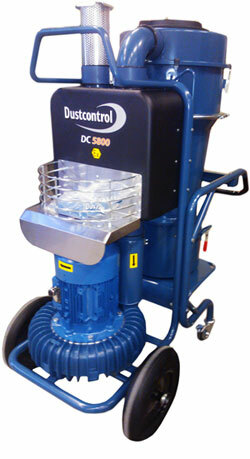 The new generation of the DC 5800 Turbo EX is a further development and based on the new DC 5900 dust extractor with all its benefits and improvements, amongst others a new efficient semi-automatic filter cleaning system, more ergonomic and easier transportation and a new efficient micro filter (HEPA13). More information on the DC 5800 Turbo EX can be found here. In addition we recommend to take a look at our updated Atex System Guide, which can be downloaded here.